If you enjoy eating honey, then you know that getting it out of the jar can sometimes be a tricky task! Because our wooden honey dippers have grooves in them, its advantage over a spoon is that the honey is less likely to drip. 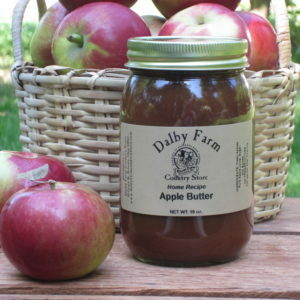 The honey wraps around the dipper as you twirl it, which results in it being less messy than if you were to use a spoon! Wooden honey dippers have health benefits as well since wood is naturally resistant to many types of bacteria. Wooden dippers only require some basic maintenance to extend their life and performance. If you season your dipper, (for instructions on doing this, see below), then you can look forward to having it for many years to come! A must for anyone that loves honey!! 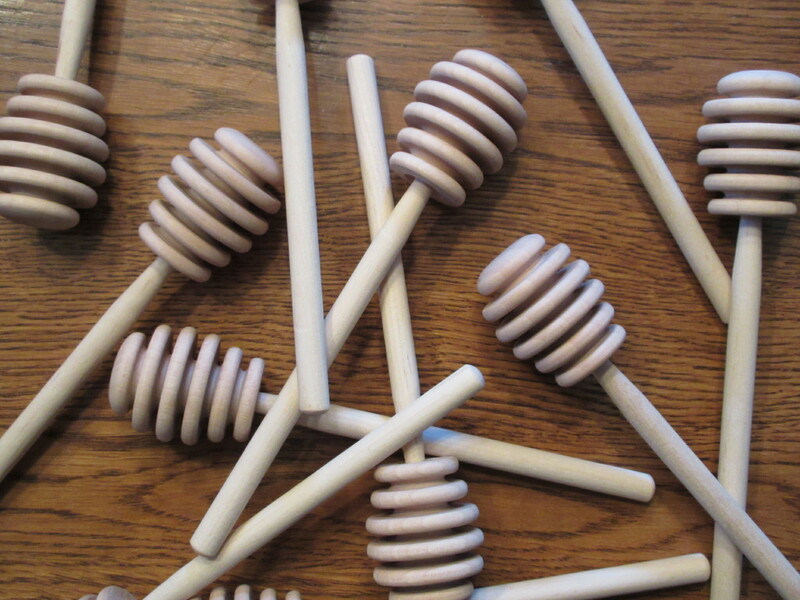 Each honey dipper is 6″ long and is made of wood. Wooden honey dippers offer many benefits. Wooden dippers are sturdy enough to move and drizzle even the coldest and thickest honeys yet gentle enough to prevent scratching or chipping your finest tea cups. Wooden dippers have health benefits as well since wood is naturally resistant to many types of bacteria. Wooden dippers only require some basic maintenance to extend their life and performance. Clean your honey dippers before you season them. Wash with a mild dish soap and warm water. Allow to air- or towel-dry until they are almost dry but slightly damp. Lightly sand. Use medium-grit sandpaper (between #80 and #60) to sand the dippers while they are still damp. This will smooth down the wooden grains that begin to appear when wood gets wet. Sanitize the wooden dippers before you season them. Mix one part white vinegar to five parts warm water and soak the wooden dippers for several minutes. Rinse with warm water and allow to dry completely. It may take two to three days to completely dry. Measure two tablespoons of extra virgin olive oil or coconut oil into a small saucepan. Measure 2 teaspoons of honey into the oil. Stir the oil over low heat just until the honey dissolves. Allow the oil to cool slightly. Coat the dippers with oil. Dip a paper towel into the oil mixture, coat them with oil and place on a baking sheet. Put the baking sheet in a 350 degree oven for two minutes. Remove the baking sheet and allow the dippers to cool completely before using them. Rinse your seasoned dippers with warm water. Do not use soap after seasoning. Honey dippers are to be kept in the honey, of course. Pull it out of the honey, hold it at a slightly tilted angle and twirl it to catch the honey that is dripping from it. Hold it over the cup, bowl or whatever sideways (parallel) and let the honey drip into or onto your cup or bowl. You do not use it to stir with, nor do you wash it. Although honey has strong antiseptic qualities, which is why they can be kept in the honey, the dipper should not be actually put into the tea. It should not touch anything but honey and air. Tea can go bad easily at room temperature which could result in pathogens growth. Honey is viscous and does not accept shaking as an accelerator of getting it off the dipper; it has to drip–hence the name. A seasoned dipper will outperform their unseasoned counterparts. (See above for instructions on how to season your wooden dipper).